It is clear from these reviews that Junk King is making a lot of folks happy. Are your ready to join that list? 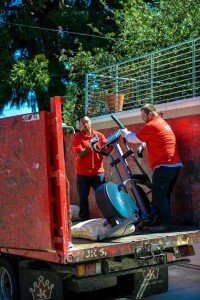 Hire Junk King Albany to take care of your junk hauling and you’ll be writing your own rave review. This entry was posted in Albany Junk Removal and tagged Junk King, junk removal, reviews on April 28, 2018 by Junk King. Last updated April 28, 2018 . How many times do you wish you had an extra hour in your day? Just sixty more minutes could make a huge impact on your life, right? Actually, there is a way to get the extra hour and more. That can happen when you put these time management tips into action. Before you can find more time, you have to find out where your time is going. You’re looking for those blocks of minutes where your time is being wasted. Is a lot of it being stuck in traffic? You might want to explore alternate routes or use public transportation where you can work on emails. At work, are you being pulled into unproductive meetings? At home, are you spending a lot of time looking for things to wear or getting the kids ready for school? Both of those items can be helped by laying out what you’re going to wear the next day the night before. Once you understand how you spend your time, you can find ways to put time limits on those tasks. By putting constraints on your activities, you might find yourself being more productive and getting things done quicker. That holds true for everything from taking a shower in the morning to preparing a report. Also, take a hard look at your “breaks.” Does a fifteen-minute break turn into thirty minutes on social media? You can take the break, but you just have to stick to your limits. It will help with your time management to plan your week on Sunday. You know when you have to go to work but what about everything else? Is there a better time to go to the grocery store where it won’t be so crowded? Can you do laundry while you’re waiting for dinner to cook? The more you can map out for your week, the better off you’ll be. Once you have your weekly plan settled, you’ll be able to break down your daily plan. The beginning of your day should be about reviewing what is on tap for that day. Remember, you know by know where you used to waste time and how much time a task should take. Now you can fill in your day and find out where you have “gaps.” Those can be used for all the other things you want to get accomplished like going to the gym or watching an episode of your favorite show. If you have big tasks to take care of, then you can benefit from bringing in help. Think of how much time you can save on the weekend if you hire Junk King Albany to clear out the clutter you need to get rid of. Instead of spending hours on your own, Junk King could be in and out with your rubbish in under 20 minutes. 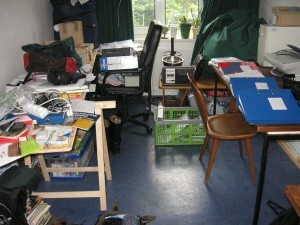 Put Junk King Albany to work clearing out your junk and watch how your time management will improve. This entry was posted in Albany Junk Removal and tagged Junk King, junk removal, time management on April 21, 2018 by Junk King. Last updated April 21, 2018 .